And the nightlies come in the niiiight! Or, in this case, in the middle of the afternoon. 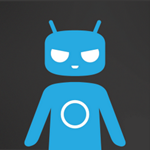 Today, the fine folks over on the CyanogenMod team have seen fit to release CM10.1 nightlies for several Nexus devices including both CDMA variants—the Verizon version named 'toro' and Sprint's 'toroplus'—as well as the brand new 3G Nexus 7 hardware. ROMs for all three of the variants are available for download on get.cm. As always, keep in mind that these are unfinished builds and no warranty is given that your device will function properly if you install them. Still, if you're feeling adventurous and want to try out an alternative take on stock 4.2, hit up the source link.